Installing, fixing and maintaining Taps (outside and in), Toilets, Sinks and Basins Burst Pipes and Leaks, a common problem in the winter time Bathroom - replacement, installation, repair and maintenance Storage tanks - replacement, installation, repair and maintenance Washing machines, dishwashers, radiators and other water based appliances Drains and Pipes Immersion Heaters / Cylinders Kitchen installations Specialist plumbing needs All other plumbing tasks that may occur Shower and wet room installations/repairs Power flushing. To help save you money on your gas bill. Gas sure have fully qualified professional engineers to carry out your servicing. Servicing will also help to prevent the leakage of potentially dangerous carbon monoxide gases. Our work is guaranteed. A service can highlight or even prevent some costly faults that may occur. 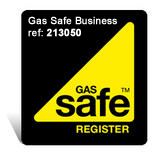 We are Gas Safe registered in Northwich with public liability insurance cover so you can have peace of mind when you use Gas Sure Ltd. We can give you a free no obligation quotation and our professional, efficient and courteous staff are on hand to make the whole experience a smooth and easy process. We offer a comprehensive repair service for all your plumbing and heating needs. whether it's your gas fire or boiler, Gas Sure Ltd can repair if it has broken down or is not working properly. If you find yourself in a panic because you have no hot water call us on 07749 618 963 and we will come over to you as soon as we can. All work carried out will be backed by our guarantee of quality. We understand how important it is to get your heating system back on track and we will endeavour to have your home or business back to normal as quickly as possible. At Gas Sure Ltd we over 40 years of combined experience in installalation and repair of gas central Heating systems and combi boilers into homes and businesses. All of the boilers we install are energy efficient, high efficiency, durable boilers and of the highest quality. Combi Boilers - Our central heating services include combi boiler installation and servicing. Our new combi boiler range are all energy efficient and are Energy Saving Trust accredited. Central Heating - If you want to save some money in the long run it can be a great idea to replace your old system with one of our new boiler systems, we can provide you with expert advice on whether you need to do this or not.